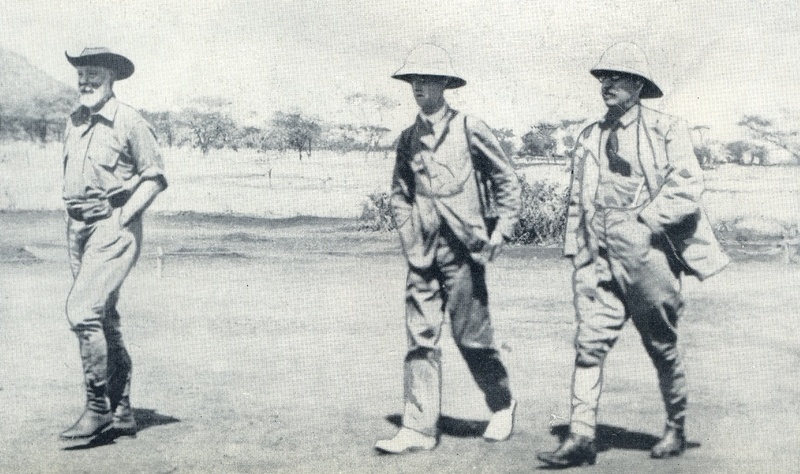 Their Royal Highnesses the Duke and Duches od Connaught visited Nairobi in mid March 1906 and inspected various police and military establishments in the town. The Municipal Committee under the chairmanship of the Collector, Mr H R Tate, voted 500 rupees towards the decorations. It is related that elaborate precautions were taken to ensure that Aficans presented themselves properly clad before the Royal couple. At a luncheon party given by a Mr Elkington near Nairobi, a nakede Masai walked across the lawn in front of the Royal couple to the horror of the entourage. The Duke merely remarked "Ah, the Elkington livery, I presume?" By 1908, the campaign for the removal of the town has spent itself and the appointment of Mr Bransby Williams, A.M.I.C.E. from England, to advise on the sanitation of the town, seemed a sure indication of the Government's intention to make the best of a not very satisfactory site. Even the doctors were less convinced that removal would be within the bounds of practical politics. The last words on this episode of Nairobi' early history were contaioned in Mr Winston Churchill's book " My African Journey" published in 1908.
" It is now too late to change," he said, "and thus lack of foresight and a comprehensive view leaves its permanent imprint upon the countance of a new countrt." This eminently Churchillian epitaph was rather more scathing than the facts justified. Ali Khan was a great adventurer, respected by the highest and lowest in the land. His rickshaws, mule-carts, gigs and laudaus were part of the picturesque Nairobi that was largely to disappear with the outbreak of war. 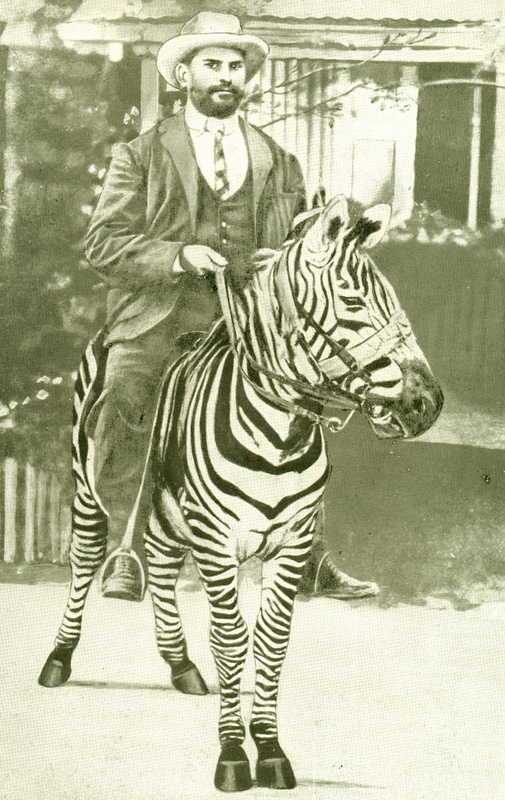 Dr R A Riberio riding a zebra tamed by him in 1907.